Being a home health aide in New Jersey is an extremely fulfilling career. Working with those who most need our help benefits both the care giver and the care receiver. From Bergen County, to Cape May, from Atlantic County to Camden, Home Health Aide's (HHA's) are in high demand throughout the state including Burlington County, Camden County and Gloucester County. While New Jersey has some outstanding nursing and medical schools, becoming a HHA is another way for you to enter the ever expanding health care field. The training you will receive as a HHA and the experience you will earn is priceless. Many who start out as HHA's often go on to other areas of health care, such as nursing assistants, nurses and even doctors! A nursing program at a NJ college can be very costly and time consuming. In contrast, becoming a HHA is quite affordable and you can become certified as fast as a few weeks if you submit the required information in a timely manner. Demand for nursing care to help our New Jersey seniors is continuously on the rise. 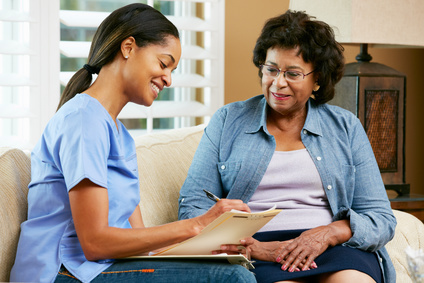 This results in many opportunities to find employment as a home health aide. Home care agencies offer great flexibility in shifts and some offer some benefits. Because of the need for quality aides in NJ, you may very well be able to set your own schedule. For single parent families, the flexibility of setting your own hours is a huge benefit. Since there is so much demand for a home health aides, those who make the effort to get certified will enjoy great job security. And if don't like a particular company, there are numerous other home health care providers in New Jersey for you to choose from! Being a HHA is an excellent way to expand your personal resume. The skills you will learn and use as a HHA are not only applicable to your job, they are things you can take with you for the rest of your life! As with most careers, the more you put into your job and the harder you work, advancement is sure to come. And along with advancing your career will you will receive solid pay. Below are the training locations and the respective information for each. Please use the links below for more information. Initial visit to one of our physical locations required.